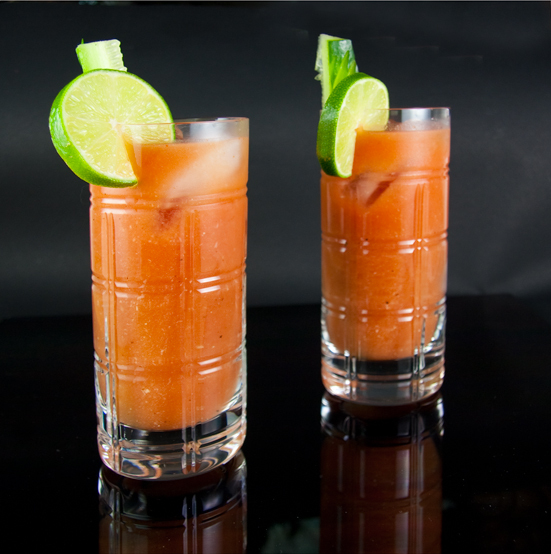 The Bloody Maria is the Mexican cousin to the Classic Bloody Mary cocktail. Just simply add Tequila to the original recipe and you get the Bloody Maria. Build ingredients into cocktail shaker with ice. Shake well and strain into iced highball glass. Garnish with lime wedge and celery stalk.